The Chesapeake Group has at least 16 different species of otoliths (from bony fish) that fossilized. I still have at least a thousand otoliths left to sort. So far I only have five different species (I think). I have already searched over a thousand otoliths in material brought back in just four trips to this middle Miocene (Calvert formation) site. Here are pictures of the five. If I find any additional species I will post them. Nice otoliths, but I never dared to determine them. I am more familiar with current otoliths than with fossilized ones. I am interested in any PDF dealing with fossilized otoliths. How do you tell the difference between the first and second pics ? Can you put a photo with one of each species side by side to show the differences ? So far I only have five different species (I think). I think you have more than five species. These two are clearly different. I tried comparing these two to a publication I have (Muller 1999). Here’s the closest I found for the two otoliths above. Take this with a grain of salt as I don’t have much experience identifying these. The first is identified as “Sciaenops species 1”, the second as “genus aff. Sciaenops paraeastmani”. I see what you mean. The one on the right is Pogonias sp. I will forward the photo to Dr. Godfrey to see if he knows what the one on the left is. Thank you. 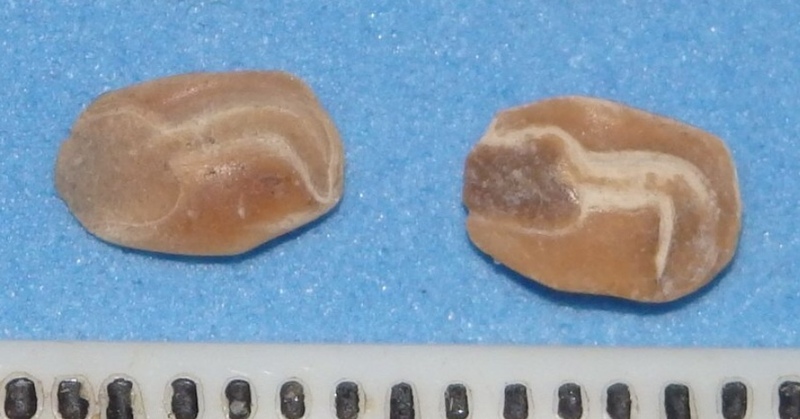 Here is a photo of two of the otoliths. I believe the upper photo (Proximal side) is Trisopterus and the lower photo is Micromesistius the more streamlined of the two. I understand you are excellent on otoliths, so I could be wrong. Please let me know your thoughts as I am no longer sure. Oops, here is the photo! As I said earlier, I know more about today’s otoliths than fossils, and I never dared to identify my fossilized otoliths. That said, here is my opinion. 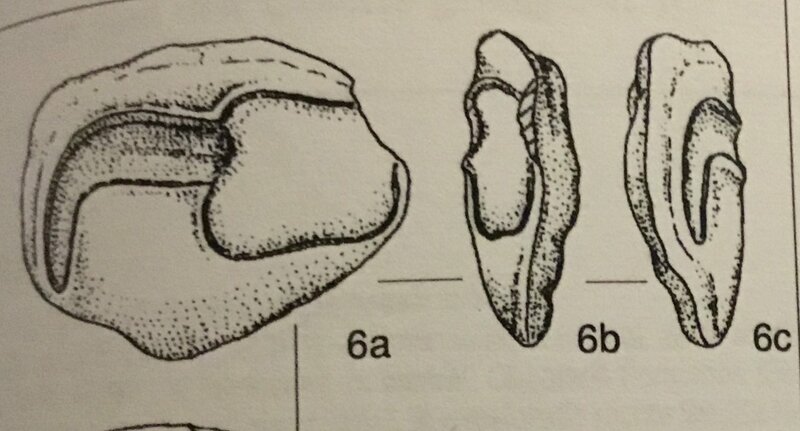 On the PDF document, page 205, we see the otoliths of these two species. I notice that both have a "serrated" side. Can you see these indentations on your samples, with a magnifying glass for example ? In your last photo (not quite clean), I get the impression that the one at the top is flatter than the other one, is it ? 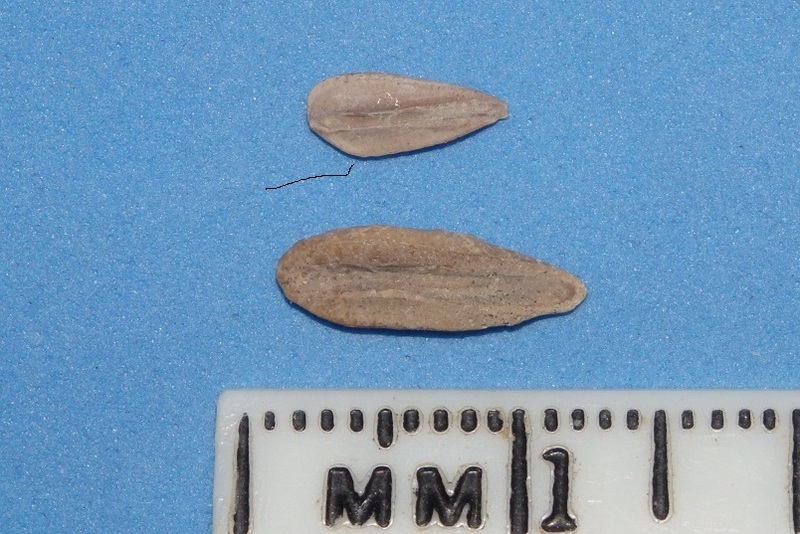 Can we get a picture of the other side of the two otoliths, and their profile if possible ? In the same order please. I have rephotographed the proximal surface (photo 1) (I agree, it wasn't very clear). I have photographed the distal surface as well (photo 2) and two profile photos Micromesistius (photo 3) and Trisopterus (photo 4). Hope these help. On the PDF document, page 205, we see the otoliths of these two species. I notice that both have a "serrated" side. Can you see these indentations on your samples, with a magnifying glass for example ? Yes I see the "serrations" on both of my otoliths on the same side as shown on page 205, but neither is obvious as on page 205.  What rescources are you using for identification? I just signed in, it's 2:50 AM, Tuesday, been busy. If I post about a dozen otoliths that I can't determine, would you like to take a crack at id's? There was a new book published by the Smithsonian on the Geology and Vertebrate Paleontology of Calvert Cliffs, Md (late 2018). If you go to the Smithsonian's website you can search for a lot of their fossil publications from other areas as well. I tried to post the link to the PDF file here (that you can download, for free) but it won't work, sorry. Now these otoliths I posted on this thread are from a site near Aquasco, Md. They are the same formation (Calvert) as in this publication. The otoliths are on page 205. Hope this helps! The otoliths are nice. What else are you finding in the material you are searching through? Also, was size mesh are you screening with? Only four trips to this site back in 2001-2002. I do not remember what mesh size I used (have several sifter mesh sizes), but I usually used window screen material under my sifter at many sites (including Aquasco). Some of the finds at this site and material brought home: C. Megalodon (one small, one over 2 centimeters) C. hastalis, A. grandis (only one), H, serra, C. Taurus, Carcharhinus species, G. aduncus, Squatina (only one), other small shark teeth, Dasyatis sp., Myliobatis sp., a handful of bony fish teeth, possible small crocodile tooth. Shells include: A. cuneiformis, M. Staminea, C. thallus (tusk shell), D. attenuatum (tusk shell), T. indenta, T. exaltata, T. plebia, C. inaequaus, F. alticosta (Limpet shell (about 50 of these), C. granulate, P. americana, Retusa sp., Chesapectens, S. foremanni, C. costaum, Epitonium sp. E. quadriscostata? (only one), E. Tricostata, and many unidentified shells. Even found some tiger eye (mineral), and over 3,000 otoliths). This is more of a shell site than shark teeth site. Fossils are found at the bottom of a 6 meter ravine (20 ft). Shell preservation is excellent. Site is posted no trespassing, so one must track down the current owner for permission to enter for fossil hunting. Can post some photos if you like. I am interested in shell pics ! I will send photos of teeth and shells to this thread. I may need some time (a few days). I got an answer back from Dr. Godfrey, the editor of the new book. The person who wrote that section says they are both Pogonias sp. I am going to post about a dozen or so otoliths in a few days. Coco is going to try to id them. I would appreciate your feedback as well, if you like. Here are some of the otoliths that I am not sure about. You may reference the number below the MM ruler in ID's. Thank you in advance for any help.